Asda takes local sourcing very seriously and for the last 5 years has had a dedicated local sourcing team. To date Asda works with over 400 local food and drink producers, who supply thousands of products to Asda stores, across the country. Customers and stores very early on highlighted to the local team, that beer needed to be an important part of the local offer. Whilst Woking on the Best of Yorkshire event Asda’s local buyer met Nick Stafford of Hambleton Ales where they discussed the desire, but the complexity of getting local beers into every Asda store across the country. Asda where then introduced to the SIBA Direct Delivery Scheme and nearly 4 years on Asda is very close to achieving their goal of local beers in every store. CAMRA campaigns for real ale, real pubs and consumer rights. We are an independent, voluntary organisation with 80,000 members and have been described as the most successful consumer group in Europe. CAMRA promotes good-quality real ale and pubs, as well as acting as the consumer’s champion in relation to the UK and European beer and drinks industry. We aim to:. Off Licence News offers unparalleled access to the key sectors in the UK off trade, from the head offices of major multiples to independent retailers and convenience stores. This is all independently qualified by our ABC profile, a guarantee of our unrivelled coverage. No other titles cover the UK off trade in such depth, and with more than 144 years of industry experiencee, Off Licence News offers the most authoritative and objective news in the industry, with a multi award winning editorial team. 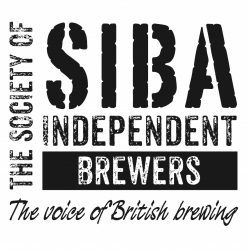 Launched in December 2003, the Society of Independent Brewers’ Direct Delivery Scheme (SIBA DDS) has benefited not only the UK’s small brewers, but also pub groups, retailers and customers alike in outlets run by Admiral Taverns, New Century Inns, Enterprise Inns, Orchid Pub Co., Punch Taverns, Threshers, Edinburgh Woollen Mill and ASDA. SIBA DDS is an electronic, internet-based administration system. The key to the success of the scheme is that SIBA DDS facilitates direct trade with local pubs, but provides a single point of contact for the pubcos’ headquarters. Effectively a ‘one-stop-shop’ for retailers, SIBA DDS maximizes commercial benefits and minimizes administrative burdens. Croxsons is the leading independent packaging supplier to the UK beer industry. Supplying the widest range of bottles an dclosures from stock, we offer the total solution.